An update to Google Street View has seen the addition of popular UK theme parks Alton Towers and Legoland Windsor to the service, allowing users to explore everything the parks visually have to offer from the comfort of their computer chair. Neowin has learnt via unofficial Alton Towers website, the Towers Times, that users can now explore Alton Towers from the top of Tower Street and see sights such as Europe's first inverted rollercoaster "Nemesis" and the park's gardens, or even checkout the construction of the recently opened ride "Th13teen", which features the world's first vertical free fall drop rollercoaster. The update also includes Legoland Windsor, where you can see the many features of Miniland, including Lego versions of Big Ben, Canary Wharf and the John F. Kennedy Space Centre, as well as many other scenes from across the World that are made up of some 40 million pieces. 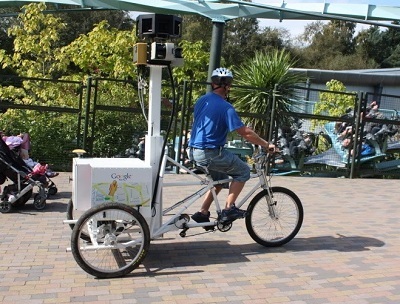 The images were captured using a modified Street View camera attached to a trike which was spotted riding through the Alton Towers last August. It is understood that the trike and camera weigh a combined 18 stone (approx. 114 kilograms). Chessington World of Adventures was also added to Street View in the update. Alton Towers and Legoland are not the first theme parks to be added to the service. Legoland California, including Minifigure, was added to the controversial service last August. Image credit: "NickT04", Towers Times forums.